but the forsythia is the coolest! ‘Some of us’ rarely get to see one. I work with two now, but they are rare here. There was great delight with the 7mm of rain we had on Thursday night and yesterday morning but when I was planting out a few Calendulas, I saw that only the top part was damp – it’s so dry that the water just sits on top of the soil. We need so much more soaking rain. I got absolutely soaked and cold all Wednesday and temporarily fell out of love with my job. Still, chin up. Smashing tulip bud you have there. Your forsythia comments have me thinking about this monster growing at the end of my garden. Hasn’t been pruned this century, quite possibly & is hanging over the terrace. I hadn’t thought what the birds might make of the thing, so will have to consider who’s hanging out there. Having said that, yours looks nice & bushy, properly pruned, whereas mine’s a bit leggy, so perhaps the birds would appreciate a bit of a trim for better coverage. Has to be a community decision, you know. That is a lovely hyacinth! Now you say it, I do remember roses being far ahead last year. We didn’t have any rain over spring at all, either – I remember having to water new plants. Not so this year! I love geranium foliage too. Another interesting six Thomas, thank you. The geranium looks good, and i understand your attitude to the forsythia. I think they are underated – they can look amazing at this time of year but pretty plain the rest of the time. I think we all spend 11 months deliberating over getting rid of them, – and then it flowers! Mine is tucked out of the way in a spot that doesnt affect anything else, it’s just nice to come round the corner and see its colour in spring. Great photo of the Tulip bud!!! Those in cool climates get all the cool stuff! I sent a picture of a forsythia earlier, but it is about done now. We are all on message this week. Rain. My lawn is almost standing water. But lovely to see your geraniums coming to life, it will happen! An interesting and varied Six – I’m with you on the weather. Love the look and description of your geranium and have put it on my ever growing list. I have done the same looking back over last year’s blog and things were so much further advanced – many of the tulips were out and this year so far none. The colour of your hyacinth is fab though. Bring on the warmer weather! 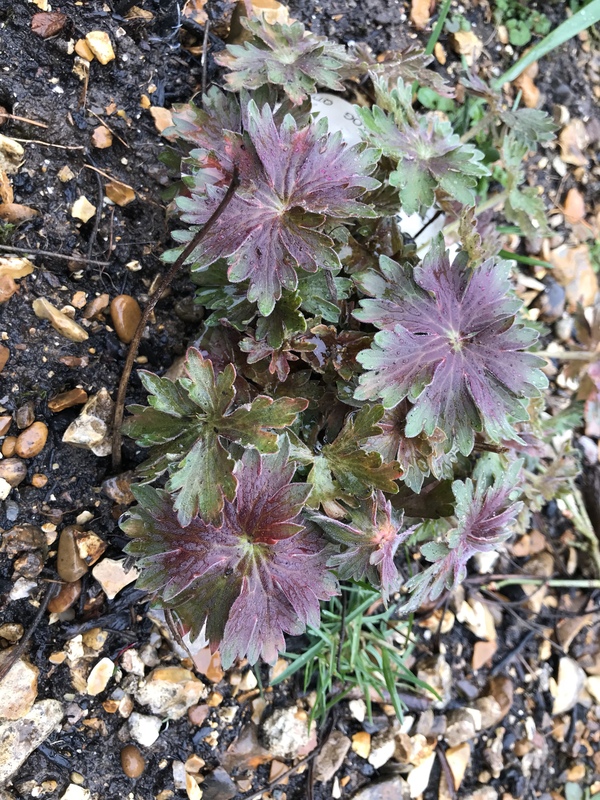 I like all your plants featured – especially always good to see a geranium – my favourite plants. And really forsythia is such a doer it’s hard to dislike. Mine is pretty much the only splash of colour at the moment.